Originally included with Doctor Who Magazine, this 35-minute freebie features Six versus a comic strip villain. 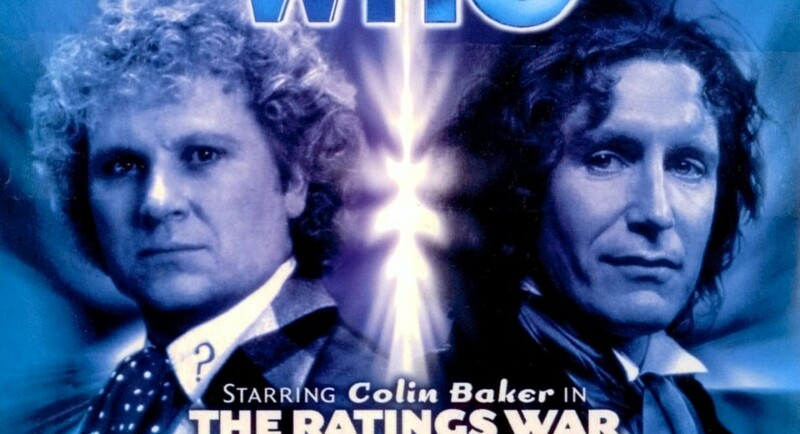 Colin Baker is so good he makes anything work. Reality TV was already sapping souls and hogging the airwaves in 2002, so it was inevitable that audio Who would take some pot shots at it. Accordingly, the Sixth Doctor charges into a TV studio to air his grievances about studio execs and mindless programming. He then plays a clever cat-and-mouse game with the evil mastermind using television for nefarious purposes. Along the way, Six and we have to suffer through a lot of inane TV host patter, an intentionally dreadful theme song and some tedious Cute Fuzzy Animal marketing. Talking cute fuzzy animals. It’s fine for what it is— a comic strip performed in the audio medium— but it’s just as well it’s only half an hour. On the plus side, it’s free, it’s Big Finish being creative and experimenting, and it’s worth hearing Colin Baker’s fourth-wall-breakage at the very end, discussing the virtues of audio over the television medium. I like to think of this audio as Colin Baker’s Revenge. Not that Michael Grade was fuzzy. Production note: the Doctor Who Magazine insert CD also included part one of Invaders From Mars, hence the cover art. Here’s a fan-made custom cover for your media library. There’s no production code to help us out, but I put it down as early Season 23, after Trial of a Timelord and before the Doctor meets Evelyn, since he seems to have wandered around alone for a little while after the trial.